A 42-year-old man presents to the Emergency Department with a 2-day history of coughing up blood. His symptoms started about 5 days after he returned from a week-long business trip in South Africa. He has not had any fevers or weight loss. He does have chest pain, however, on the left antero-lateral side. He describes this pain as sharp, worse with a deep breath. He denies any shortness of breath. No nausea or vomiting or diarrhea. Appetite has been normal. 1. What is the most common inherited hypercoagulable state? 3. 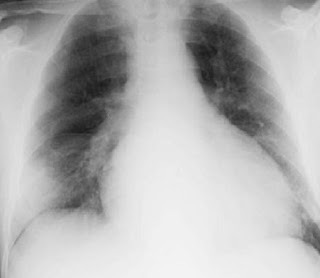 Which statement is correct about the diagnosis of pulmonary embolism? 4. What percentage of ambulatory patients who present with PE have no identifiable clinical risk factors?